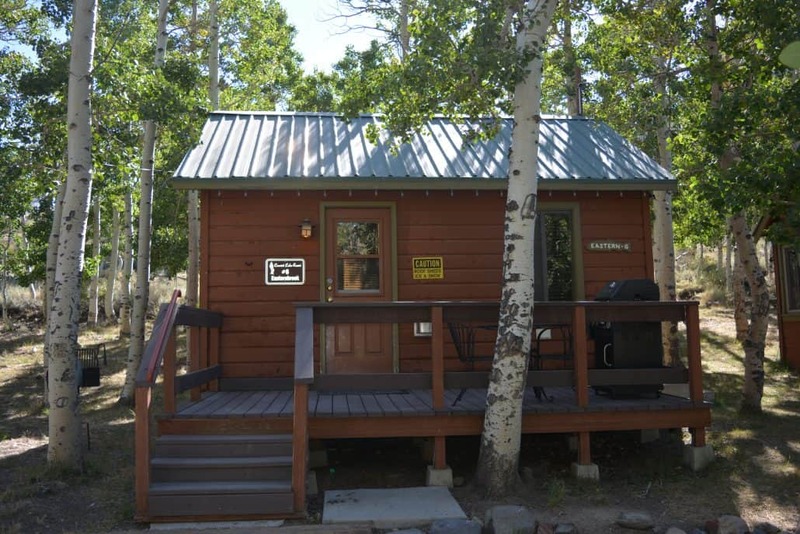 The Cutthroat Cabin built in the 1930’s, sleeps 2 and is located on the Lower Lake Loop with views of the Picnic Area. 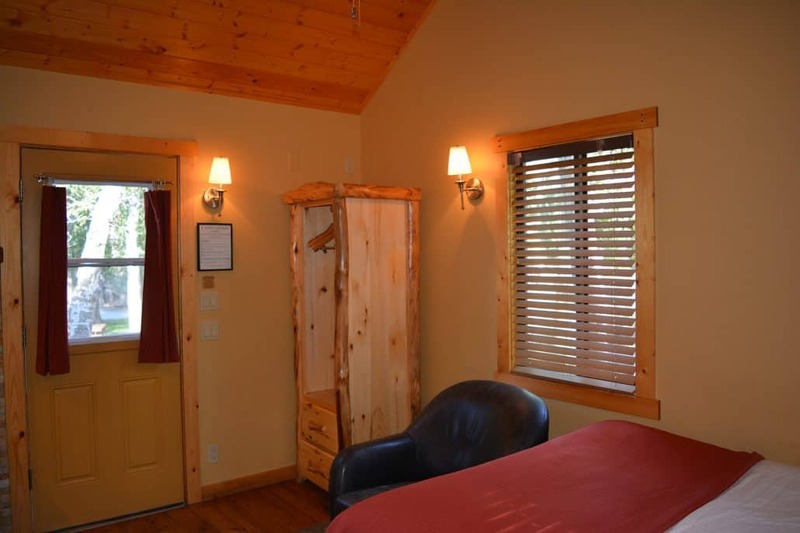 There is a queen bed with sitting chair in the main entry room and bathroom with shower. 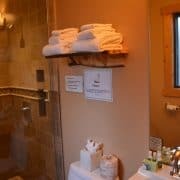 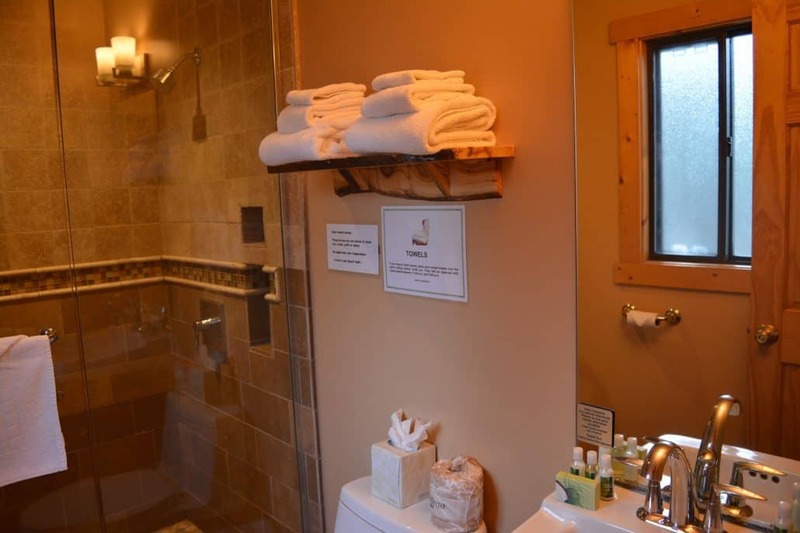 The cabin has an upgraded bath with heated floor, glass shower and hair dryer. 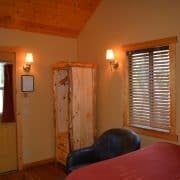 There is a vaulted ceiling, gas fireplace and granite counters. 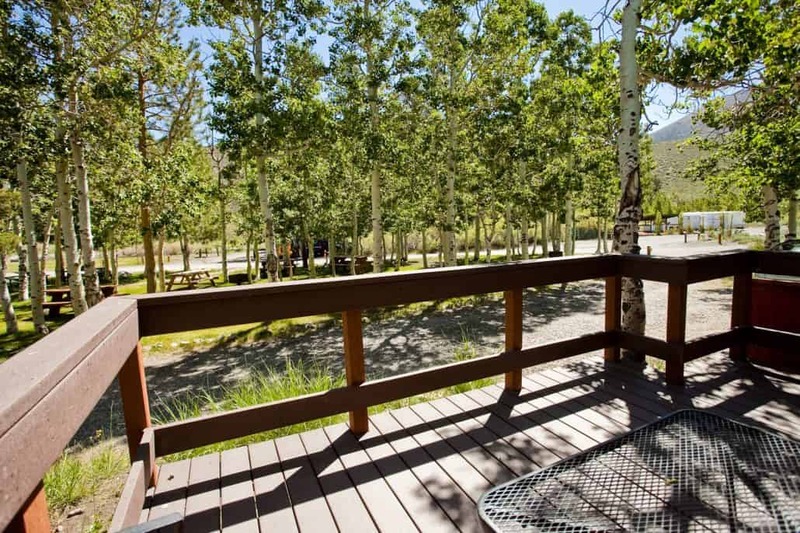 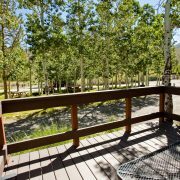 All cabins and houses have patio furniture available on the deck. 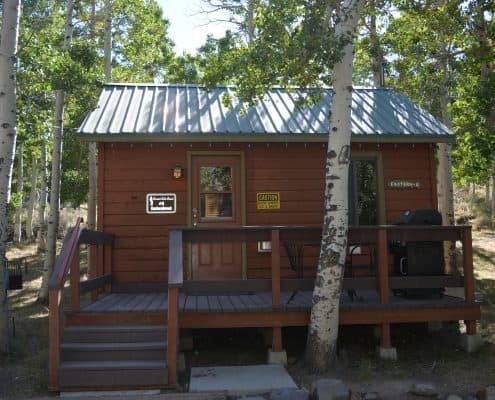 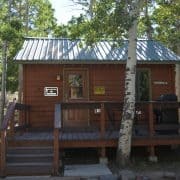 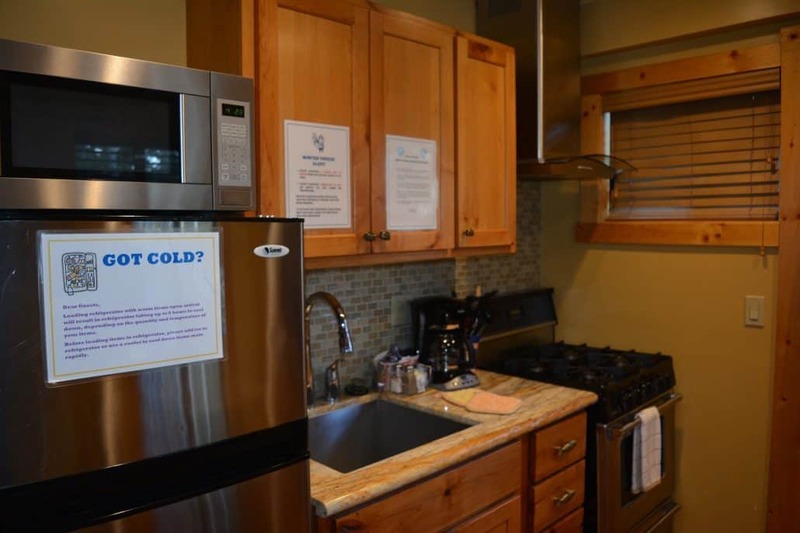 The cabin has a fully equipped stainless kitchen with stove, oven, microwave, coffee pot, toaster, crockpot, blender, refrigerator, dinette table and chairs and all cooking and serving utensils. 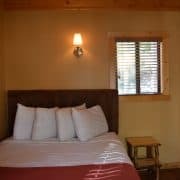 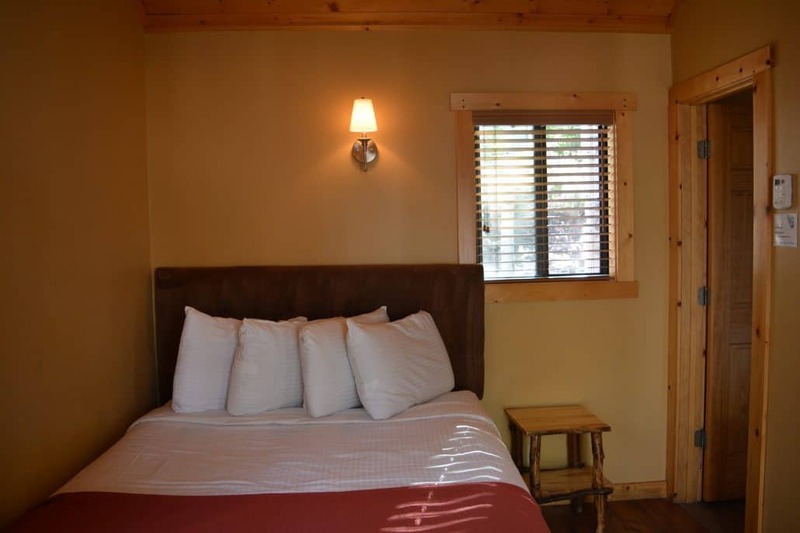 All of our cabins are heated with forced air or direct vent heaters. 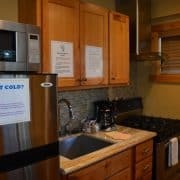 We furnish coffee, tea, hot chocolate, dish soap, dish towels, paper towel, new sponge, bath towels, mats, wash cloths, soap, shampoo, conditioner and lotion, iron and propane for the grill.